At A-1 Affordable Bail Bonds, our team strives to do more than simply get you or a loved one released from jail. We work to ensure that your family is taken care of during this difficult time, with creative affordable bail bond options, tailored to your specific needs. 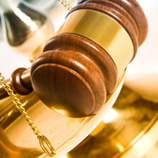 With 24-hour services, we are your resource for reliable and affordable bail bonds. Using professionalism and discretion, we act with quick response times, designing budget-conscious plans to effectively get you or a loved one back home as soon as possible. With the lowest down payment program in the local bail bonds community, we make it more feasible for you to post bond for a loved one. Our goal is to make the entire process as transparent as possible, as we work as your partner in attaining the prompt release of your loved one. Though we’ve posted bonds for hundreds of community members, we understand that this may be a unique experience for you, therefore, we’re happy to take the time to explain just how the process works and act as your advocate during this stressful period. From misdemeanor charges such as theft or assault to felony cases including DUI burglary and domestic violence, you won’t have to sit in jail any longer than necessary with A-1 Affordable Bail Bonds. Call us now.